Side Businesses: How To Start One This Weekend Without A Huge Investment! In case you haven’t caught on yet (or unless you’re independently wealthy), it’s crucial for you to find ways to create multiple revenue streams for yourself. Corey offered you six no-nonsense considerations that everyone should ponder before starting a business. He also wrote about why it’s in your best interest to side-hustle. And I feel so strongly about the need for diversification as a business owner, I realized that I’ve previously wrote some strong reasons as to why diversification makes fiscal sense, even for your current business path. 1. You can use your existing entrepreneurial (hustle) skills. The fact that you’re willing to earn a living by starting your own business venture (instead of choosing employment) already proves that you possess characteristics such as drive, ambition, and creativity. Why not use those to find more ways to stretch yourself? 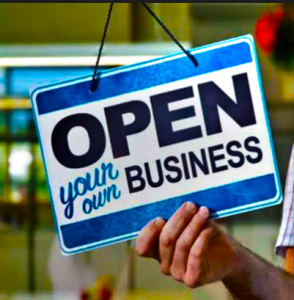 Why not start more business ventures, just because you can? 2. You’ll diversify your revenue-generating platforms. You already know that unless you create (or stumble) upon a way to generate huge invoices per client, you’re going to experience those dreaded financial highs and lows (otherwise known as feast or famine). You also probably know how uncomfortable and stressful the feast and famine cycle can feel. But you can put an end to that when you create multiple income streams for yourself! 3. You’ll increase your independence. Speaking to the last point, you won’t experience feeling hostage to the low-balling, disrespectful client simply because you need to make a fast buck. You won’t need to sell your services on a price-based model (Read: selling to the lowest bidder) because your accounts are empty, the rent is due, and you’re tired of eating plain salad, or canned meats! At the very least, you can create a cushion for yourself that allows you to reject any bids for work that don’t meet your standards or your revenue goals. 4. You’ll be financially prepared for the future. When you think of things such as retirement, or simply moving away from your current business, are you financially prepared? You can increase your odds when you create multiple ways of generating money to save. 5. You can turn playtime into cash-time! Do you have a hobby that you wish you could build a business around? You can start building experience and generating a fan base by monetizing your hobbies in your spare time. In the meantime, create a plan that allows you to save money so that you can successfully transition, full-time. 6. You’ll learn new skills while improving your current skills. You’ll never go wrong when you learn new skills. And if you want to maintain a reputation as providing valuable service to future clients, then you’ll need to improve (and master) your current skill set. Now that you’re primed for starting your side hustle, it’s time to talk about specific new entities that you could start this weekend, with very little start-up costs! Remember how I mentioned that you already have the leg-up on starting a new business venture due to your existing business skills? Well, one of the most important skills that you already possess is your ability to sell in order to generate new business. This will come in very handy should you decided to enter into a direct sales program. In short, a direct sales program is a business model that allows anyone to sign up under a company recruiter and start selling a company’s products (or services). There are literally hundreds of companies all over the world that have either began as a direct sales company, or they’ve implemented the direct sales model into their existing company. You’ve probably heard of many of the most enduring brands. Think about the cosmetic companies that allow ladies to sell products to their friends via catalogs, or via parties held in their homes. Or, you might be aware of the food container company whose brand name has become synonymous with easy food storage. And, if you watch cable T.V. in the U.S., then you’ve seen those infomercials featuring exercise programs that have become cultural favorites! All of those industry products (and many more) can be sold to others, thanks to people like you. You can generate a passive income stream after recruiting other sales reps to join the company. If you’d like to learn more about the types of companies you can join, then The Direct Selling Association is a great place to start. I’ve included a link that allows you to view the vast number of industries you can sell products for. Simply perform a search and you’ll generate a listing of companies, many of them you’ve already heard of. And by the way: The Direct Selling Association has branches and affiliations all over the world. Simply perform a search to find out about opportunities for your home country (Although it should be noted that the U.S. has the most opportunities, by far). It’s still a business. You’ll need to come up with a plan of attack to guide your decisions, like my friend Marc did. You’ll need to follow your company’s rules. Some companies won’t allow you to mention the brand’s name on your personal websites or marketing media, so you’ll have to find a way around that. Some companies build their models based around what’s known as party plans. That means that the sales rep will be required to host parties (or ask a friend to host parties) in their homes. Ask yourself if you want to entertain guests in your home in order to generate money. And keep in mind that in many cases, your party guests will be strangers! And…can you afford to buy food and beverages every time you plan a sales party? So with these considerations in mind, make sure that you understand whether or not you’re signing up for person-to-person sales model, a party plan model, or both. Multi-Level Marketing (MLM) is a kissing-cousin of direct sales. Both involve business models that allow independent sales reps to sell products or services in order to generate revenue. However, MLM plans tend to place a focus upon generating revenue based upon the recruitment of new sales reps into the company. The MLM industry has caught a bad rap due to shady operations that were thinly-veiled Ponzi schemes, although the large majority of MLMs are legitimate. Think of the international cleaning supply company that’s been around for ages-they’re an example of a legitimate brand. MLMs also gain a bad reputation due to poor sales training. Many who enter the industry simply don’t know how to sell products or services successfully, and many aren’t taught effective or current strategies. But again, if you’re currently generating revenue, then you understand how to market yourself in a manner that inspires confidence without turning people off or coming across slimy, or desperate! The Multi-Level Marketing International Association is another resource you can check out for more information. Keep in mind that while MLM companies often require a more expensive start-up fee than direct sales companies do (in order to purchase inventory and sales kits), you’ll still often be able to start your business with an investment of under $500, or much less. Yes, generating revenue via the affiliate marketing model is still a thing. In theory, there are many affiliate networks that allow you to start marketing products immediately, no website required (such as Amazon’s Affiliate Network). However, if you want to generate traffic to your link like many others have, then you’ll need to create a website (a blog is fine, and WordPress is best) that offers valuable product information, such as reviews. Speaking of reviews, many reviewers are increasing their revenue generation within the affiliate marketing model by becoming brand ambassadors. Brand ambassadors aren’t paid directly by the company they represent, but they do receive free products to review. They also receive heavy promotion by the company they represent, and all of this equates to more site visitors clicking the affiliate’s marketing link to make purchases. Basically, you could get started as a new affiliate marketer for free. Just set up a free social media account, sign up under a no-cost affiliate network (the major guys don’t charge an upfront fee), and you’re ready to get started. But if you want to earn some serious cash, then you’ll need to invest in websites, domain names, plug-ins, site design, and other elements that will enable you to realize serious gains. You should definitely be able to set up a basic WP site, buy a domain name, and find inexpensive site design (for a custom site) for well under $300 (if not cheaper). Needless to say, there’s plenty of other ways to start an inexpensive side-business, both online and offline. In fact, here’s a link to 99 more ways to diversify your cash flow. Don’t feel overwhelmed by the choices. Pick the easiest one for you, and then expand when the time is right. But whatever you do, don’t back yourself into a financial corner by behaving like an employee who can count on a singular source of income!